University and college professors are complaining that government restrictions on the use of small drones are likely to stifle academic research. In a letter to the Federal Aviation Administration on Friday, 30 professors said a clarification the agency issued last month on what rules model aircraft hobbyists must follow would eliminate the ability of researchers to use small, unmanned aircraft on low-altitude flights over private property. Model aircraft have increased in sophistication and capability to the point that they are virtually indistinguishable from small drones. And the price of unmanned aircraft has been dropping, making them more affordable for researchers and other users. The FAA allows hobbyists to use model aircraft or small drones so long as they keep them away from airports, fly them under 400 feet and keep the aircraft within sight of the remote-controlling operator at all times. However, commercial operators or people working for private colleges or universities are prohibited from using the same aircraft under FAA's clarification of its policies, said Paul Voss, an associate professor of engineering at Smith College in Northampton, Massachusetts, who spearheaded the letter. "Under the FAA model aircraft rules, a 10-year-old hobbyist can freely fly model aircraft for recreation, while our nation's scientists, engineers and entrepreneurs are prohibited from using the same technology in the same types of environments," the letter said. The FAA has a process for academic researchers to obtain special authorization to use drones, but only if they are affiliated with public colleges or universities, not private schools like Smith. Researchers from Harvard and Stanford universities, both private schools, also signed the letter. But so did researchers from large public universities like the University of Michigan and the University of Wisconsin. FAA officials have set so many barriers to obtaining special permission to use drones to conduct research, as well as limitations on how they are to be used once permission is given, that it's often not worthwhile for researchers at public universities to try to obtain permission, Voss said. 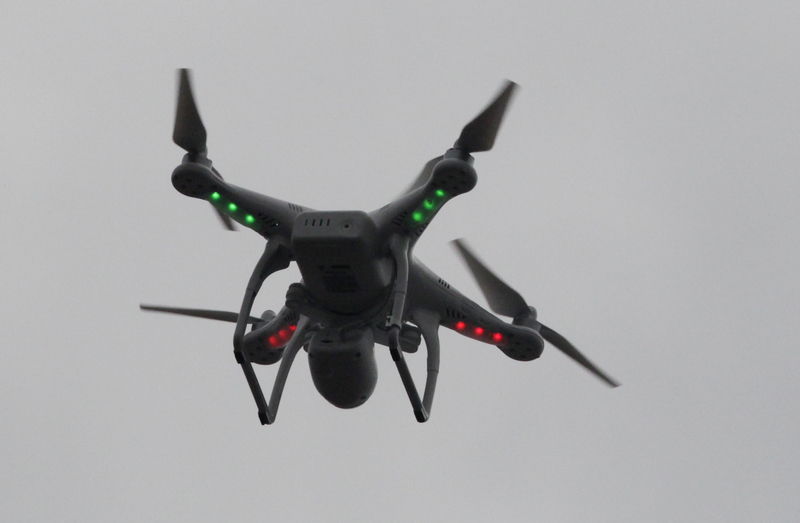 Researchers said they were particularly concerned that FAA is telling drone operators that the agency has the sole authority over use of the airspace from the ground up instead of 500 feet and above, which has been interpreted as the public airspace in the past. The FAA's current interpretation of "national airspace" is so broad that it includes "all airspace in the United States, including our campuses, private backyards, and possibly even inside buildings," the letter said. FAA officials didn't immediately reply to a request for comment. The FAA bars commercial use of drones, saying they could collide with manned aircraft or injure people on the ground if not flown in a safe manner. The agency has been working for a decade on safety regulations to allow commercial drone flights, but has yet to offer any. Agency officials have said they hope to propose regulations permitting the use of commercial drones weighing 55 pounds or less later this year.